Lawmakers say they want transparency and that the public should be able to see their finances. But state requirements allow officeholders to report their financial interests vaguely enough to hide conflicts. During a 2011 legislative debate over payday lenders, state Rep. Gary Elkins, R-Houston, went to the podium in the House to make the case for those businesses against a phalanx of reformers lined up to regulate them. A lot of people who had nothing to do with the issue — lobbyists and tourists who were just watching for the sport of it — were astonished that a lawmaker would do what Elkins did. See, he’s in the payday lending business. And he was at the front of the House making an argument on behalf of his industry — on behalf of himself, really — against the proposed regulations. The man has some chutzpah, right? But what was really surprising wasn’t that a lawmaker was making a move that might bring personal benefit or help a friend. What was surprising was that the people watching the debate were aware of it. The idea behind disclosure — in politics, in contracts, whatever — is that you ought to know what you’re voting for. What you’re signing. Whether the person you’re dating still lives at home, or the restaurant where you’re dining passed its health inspection. Government is out to protect you in some of those cases. Good luck with that date — you’re on your own. But the health inspection is easy to get. Consumer laws protect you on contracts and such. And the state requires lawmakers to file personal financial disclosures that are supposed to show their income and their holdings, so you’ll know whether or not they’re lining their pockets while they’re governing. 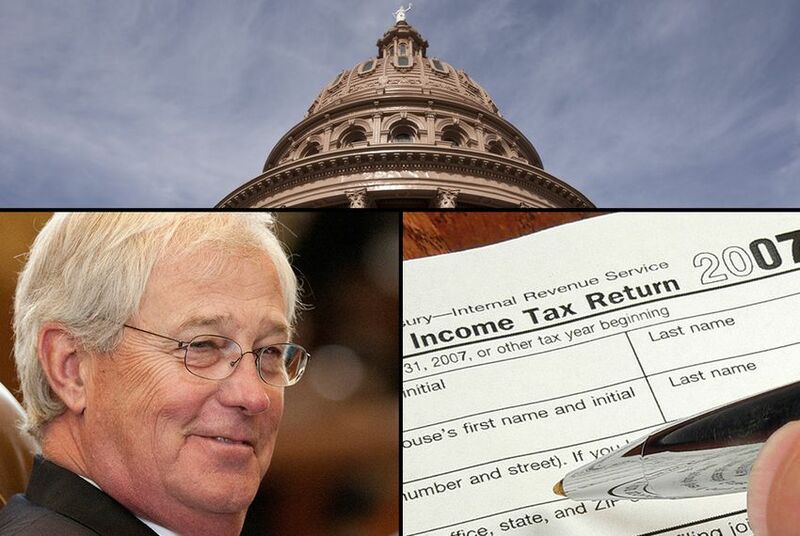 Those mandatory disclosures don’t include tax returns, so as part of a legislative transparency project, The Texas Tribune is asking state lawmakers for their last three. The requests have gotten a chilly reception from some. Last week, House Administration Chairman Charlie Geren, R-Fort Worth, sent a memo to fellow House members saying they weren’t required to provide the returns and noted that he himself would not do so. The state disclosure requirements are well-intentioned, but they allow officeholders and candidates to report their financial interests vaguely enough to hide conflicts. And they’re hard to get, too. The Texas Ethics Commission puts campaign finance reports online, so voters and researchers can easily find out how much money candidates are getting and spending and where they’re getting it and spending it. But the state doesn’t put the financial disclosures online. Instead, lawmakers file the reports, and they’re available only if you ask the Ethics Commission to hand them over. Once there, the filings aren’t available in a format that makes for easy analysis. For instance, if a law firm employs 10 legislators, a citizen has to go through every officeholder’s report to figure out who does and who doesn’t work for that firm. For campaign and lobby reports, something like that is a simple electronic search; here, it’s a mining expedition. Legislators apparently don’t want to make it any easier. A legislative agency doing a periodic review of the state’s ethics laws recently voted unanimously to keep the reports offline, saying it would threaten the privacy of the filers to do otherwise. That lack of transparency makes it hard to distinguish votes made for private interests from votes cast for constituents. It makes the honest lawmakers (that’s most of them, by the way) harder to spot. If somebody’s stealing and you can’t tell who it is, everybody’s a suspect. Lawmakers themselves say you should know how a legislator might benefit from a particular vote, and that’s why they require the personal financial disclosures. Then they make those disclosures less than illuminating, and keep them in a place where they’re hard to get. Elkins’ performance was cringe-inducing, but only because his self interest was out in the open. Is he the only one with a conflict, or just the only one who owned up to it? Editor's note: Ross Ramsey, the Tribune's executive editor, serves on the board of the Freedom of Information Foundation of Texas.